Android emulators for PC are softwares that enable you to run Android applications on devices other than the Android devices. Currently, Android is the most common and fastest growing mobile operating system platform. For a number of varied reasons, a person may decide to have one of these softwares in their PCs. A larger display, a longer battery life, and ease of typing are just a few of these reasons. In this piece, we discuss the top 5 android emulators that you can install on your PC. The installation processes of these softwares in your computer may not be easy and as such, require some level of technical know-how. Most of the emulators have no compatibility issues with most PCs. 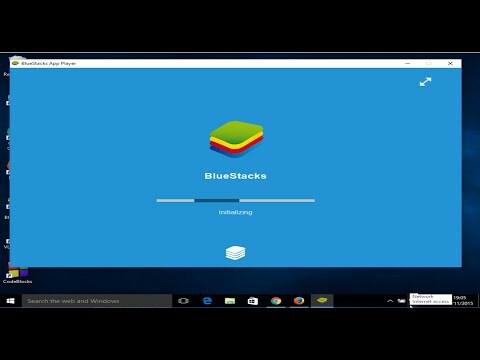 BlueStacks is one of the free android emulators for PC that will come in handy when you want to run a number of Android apps such as games and social media apps. When you are using it, you can perform other tasks on your PC without a problem. BlueStacks is so far one of the most popular among the emulators. This is probably because of its stability and reliability. It has no compatibility issues either and doesn’t limit the user. The only other thing you may need is to install additional graphics. Among the first emulators, BlueStacks was one that easily worked well. Installation requirements are very simple. You only need to run a .exe file. Your system must have 4GB of free hard disk space and 2 GB of RAM. BlueStacks has a simple user interface that you can customize to meet your needs. You can also install this emulator on your Mac without any problems. Furthermore, there won’t be any issues with your computer’s peripherals such as webcam, trackpad, keyboard, and mouse. BlueStacks does not allow you to install it from a guest account. Hence, you need to use an administrator account. To avoid getting a graphics card error when doing the installation, ensure you update your computer’s graphics to the latest version. It is also important to note that it cannot run in a computer with Bitfinder antivirus. • Transferring files from BlueStacks to Windows and vice versa through a shared folder. • It also allows for loading of side apps when an APK file is double-clicked on the desktop. • Lagging in performance has also been reported by a number of users. Therefore, if you are a game lover, you can try out BlueStacks for playing games on your PC. It is available for free download from the company’s site: www.bluestacks.com. It was so loved that it received the best software award in 2012. Andyroid is popularly known as Andy and formerly as Andy OS. It is also one of the best android emulators for PC that is great for a range of functionalities in your PC. It can run games, launchers, and productivity apps. Andy also allows you to root access whenever you need it. Though it is mostly focused on productivity, it is great for games as well. In fact, it’s been deduced that it is a better platform for a number of games than other emulators. With Andyroid, you can sync another android device and use it to control the gameplay. If you this emulator in your PC, you can use it to run many apps in play store. These features make Andy OS unique on its own way. Since it requires VirtualBox to install like Genymotion, it is sometimes considered an advanced Genymotion. Andyroid can be installed in the PC via a browser. However, you first need to have Virtual Box installed on your computer. You will need at least 2GB RAM to be able to install it. •The installation process takes too long. KO Player, as the name suggests, is another top emulator you can use to play games on your PC. KO is one of the latest android emulators to be developed. It is available for free download and is based on the x86 architecture. It is developed with gaming in mind. KO Player supports OpenGL and hardware acceleration. Gamers are rewarded with smoother and faster experience. • It enables users to record videos of the games when playing hence, you can use this feature to share your gameplay with other users. • The operation simulation with a mouse and keyboard is perfect. You can download KOplayer from the developer’s website and install it on your PC at no cost because, like most android emulators for PC, it is a freeware. Compared to BlueStacks and Andyroid, Genymotion is a faster emulator which has gained tremendous popularity in the recent past. This is because it is based on the virtualization of the x86 architecture. The main aim of the developers of this emulator was to help Android app developers to try out their apps. They can use it to test their games and apps without having to necessarily own these devices on multiple platforms. The emulator can be configured in whatever way the developer prefers in order to meet his/ her needs. This, however, does not mean that personal users don’t benefit from Genymotion. Any users can use it for free too. Its compatibility is a plus as it can run Android Studio, Android SDK tools, and Eclipse. 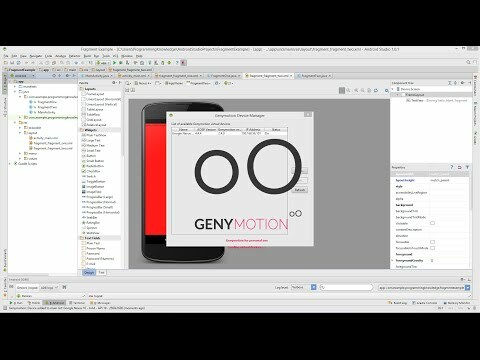 To be able to get quick access, you can install Genymotion plug-ins on the Android Studio. You can go further to deploy multiple instances and run tests on your apps and most things. The Java API in this emulator helps in automating the tests for the apps. It has a lot in common with BlueStacks. Therefore, it could be an alternative to it. However, it is due to its unique features that it is considered as one of the top android emulators for PC. Apart from the above-listed requirements, Genymotion requires browsers such as Google Chrome, Internet Explorer, Mozilla Firefox or Safari. • It supports higher features of hardware acceleration and OpenGL. Though the free version of Genymotion is good, there are a lot more exciting features that you get when you purchase the premium version. You can use it to emulate any Android device, whether new or old. You may like to play Beat the Boss 4 with this android emulator. NOX Player is another one of the top android emulators for PC at your disposal. It is suitable for both Mac and Windows computers. The most outstanding feature of this emulator is its simplicity. For people who love games a lot, NOX player is for you. It enables you to multitask and makes effective use of your system resources. It allows you to install play store apps directly. NOX Player is even usable by app developers as it enables them to change Android OS skins, icon packs, and themes. It is also a free android emulator. You can install NOX Player using either the online or offline method. To install it online, you require an efficient internet connection. Your local storage will house only part of the file while the other portion remains online. If your connection to the internet is interrupted, the process of installation stops and you’ll need to start the installation from the beginning. It’s recommended for those with strong reliable internet connections. Offline installation, on the other hand, requires you to download the NOX Player files into your computer’s storage. Compared to the online method, it requires more space as it is approximately 300MB. There you have it! These are the top 5 android emulators for PC that you need to give a thought to. The choice you make is however entirely dependent on you. Each of them is designed with a goal in mind. If you want to play android games on your PC, the best choice for you would either be BlueStacks or Genymotion. Again to narrow down to a specific choice between these two, you may consider how fast they are. As seen above, the later carries the day because it is faster. Some of these android emulators for PC are completely free for download while others offer only limited functionalities in their free versions. As such, for personal use, you may consider the completely free ones. You may like to play Vainglory with this emulators. As an app developer, you may find one more useful than the other making it necessary to go for premium versions. BlueStacks is a great one for Android app developers. The Android emulators for PC have revolutionized the android world. Virtually anything available in Android operating systems can be used or be made available for the PC. The criteria you can use when deciding which of the Android emulators would be best for you is just your personal needs.